Pre-Construction termite treatment is the earliest way to avoid the termite problem altogether. Tackling the termite infestation problem in the construction stage of a project will greatly reduce or eliminate the termite problem altogether. At Right Pest Control we have various options through which we provide pre construction termite treatments, the first is the chemical barrier which can be ingrained in the soil while the construction process is still underway. The second type of barrier which we provide is the reticulation pipe, this pipe will be used to spread the termiticide on the interior and exterior parts of the foundation of your home. The third type of barrier is the pipe collars, this is a cost effective way to keep the termites away from your property. And lastly there are the chemically treated sheets, such sheets can be used as a chemical as well as physical barrier to keep the termites off your property. With our pre construction termite treatments you can be sure that you are making a wise decision which will give you a termite free, beautiful home right from the beginning. Right Pest Control will help you achieve a home that you have always dreamt of. To know more about our services you can feel free to give us a call or visit our official website. The intention of a long term physical barrier is to deny termites living underground access to a building or home. The beneﬁt of these physical barriers is that it forces termite colonies to access the structures externally where they are easier to see and control. 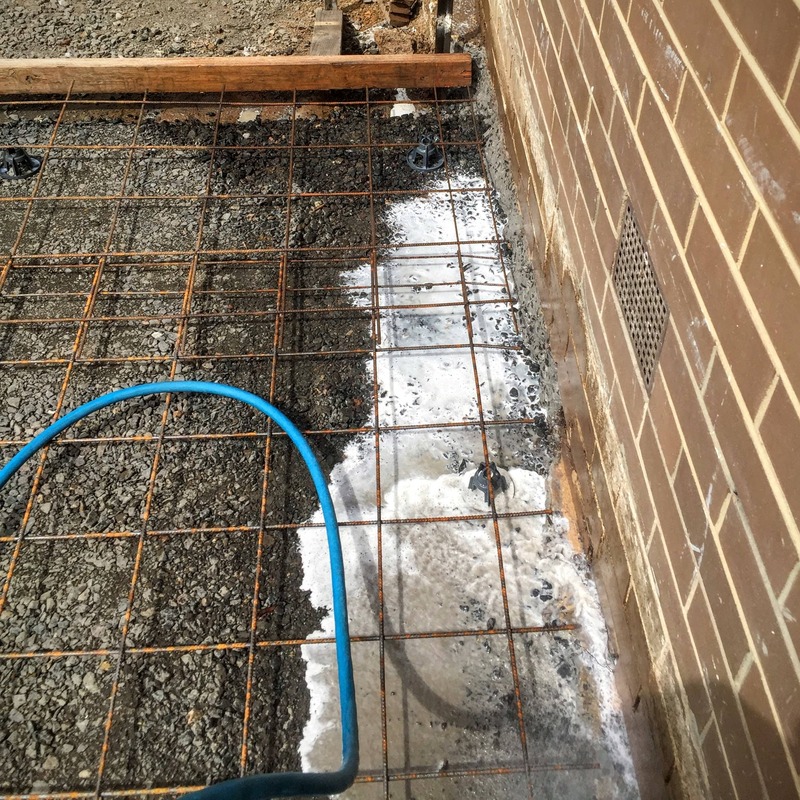 There are many methods used by builders these days, but with councils and surveyors making termite protection part of the building permit, it is important to get the right advice from the start of any new build so the correct method is installed at the right stage to meet Australian Standards 3660-1. Here is an extension in Northcote for a builder we do work for having pipe collars fitted before the concrete slab gets poured. Termite Collars are used for structures built on concrete slabs. They are ﬁtted around all plumbing and electrical work that come through the slab, inhibiting termite entry through the ground. A very cost-effective option. 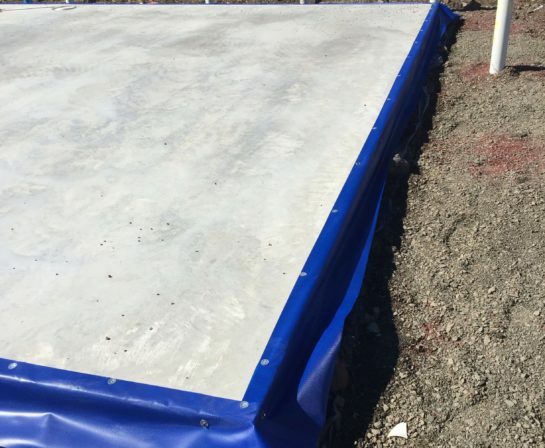 Liquid termiticide barriers are commonly used as they are the most cost effective and most simple to install if done at the correct stage of the build. The most common termiticide used in this application is a repellant that suspends the active ingredient in water. Once the suspended particle comes in contact with the soil it bonds to it, creating an effective barrier. This application is great for areas where reapplication can be a problem, such as under decks and below hard paved areas. Pipe Reticulation is an irrigation-type system that is designed to distribute termiticide under the soil around internal and external foundations. This method is very useful in areas that will be covered by landscaping, concrete or paving. Once installed, the ease of reapplication for complete protection is relatively easy and prevents damage or disturbance to gardens and walkways. Here is a repellant barrier being applied before concrete gets poured for an extension in Macleod. Here is Homeguard Blue fitted to a new construction in Mernda. HomeGuard Blue is a chemically impregnated sheet. HomeGuard Blue is speciﬁcally designed as a cost effective perimeter cavity termite barrier system and is to be used in combination with the existing components in the HomeGuard Precision Termite Management System Range. Under the Australian Standard 3660-1 Termite Management, HomeGuard Blue is classiﬁed as a termite barrier and can be used as a chemical and/or a physical Termite Management System meeting the ‘Performance Appraisal’ requirements of the Building Code of Australia (BCA). HomeGuard Blue Termite Moisture Barrier is designed for installation in the perimeter cavity. In accordance with AS 2870, the installation of an additional commercial damp proof course is required on top of the HomeGuard Blue sheet.